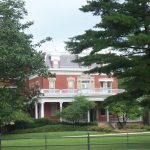 Coinciding with the Illinois Bicentennial in 2018, Doors Open Illinois will see iconic historical sites and architectural treasures throughout the state open their doors to the public during four consecutive weekends in August. It’s a chance for visitors like you to get a special glimpse of our history and heritage. The Ellwood House Museum features a grand historic mansion on 10-acres of parkland. Guided tours of the mansion will be offered throughout the weekend. On Saturday, August 25, the Visitor Center exhibits will be open from 9 am to 5 pm, with mansion tours beginning on the hour from 10 am to 4 pm. On Sunday, August 26, the Visitor Center exhibits will be open from 11 am to 4 pm, with mansion tours beginning on the hour from noon to 3. There is no admission fee for the Visitor Center. Mansion tours are $8.00 for adults and $5.00 for youth.